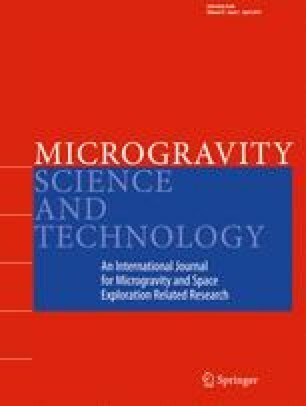 This paper reports on a study of bubble motion in a regularly spaced pore structure under microgravity using the lattice Boltzmann method (LBM). Initially, a single bubble’s motion is derived; then the simulation is extended for two-bubble dynamics. By considering a gas-liquid two-phase flow, the interaction force (namely the fluid-fluid cohesive force and fluid-solid adhesive force) is derived using the Shan-Chen model with multicomponent single relaxation. This determines the interaction forces governing a single bubble’s dynamics in the porous structure. Then the primary parameters that influence bubble motion are studied, such as the bubble’s diameter, distance between adjacent cells, arrangement between cells, and the effects of flow-field characteristics on single-bubble motion. The simulation developed for single-bubble motion provides the basis for studying a two-bubble system’s motion trajectory and coalescence behavior. By employing the aforementioned analysis, the proposed approach optimizes porous media’s structural parameters under microgravity, resulting in increased bubble movement speed and an enhanced two-phase flow in porous media. This work is financially supported by National Natural Science Foundation of China (No. 51606037), Natural Science Foundation of Jiangsu Province (No. BK20160687), and China’s Manned Space Program (TZ-1).